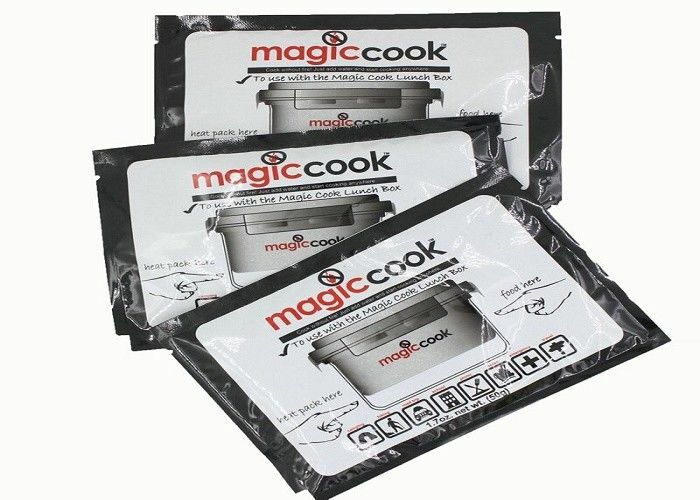 This magic cook can release hot within 5 seconds. The temperature of the pack will be up to 120℃ ~200℃, and last for 2 hours. The pack helps cook the food outside while there is no fire, like in the forest, on the boat, on the train etc. It is also convenient for the office workers to reheat the food or the rice for the launch. Put it in the normal water, and keep the rice or food above the water. 100g, 150g, 250g or customized.